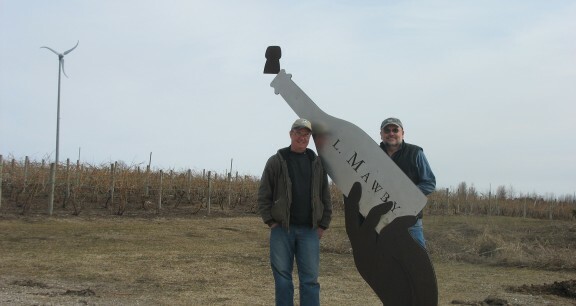 Vintner Larry Mawby, and his new partner, Stuart Laing, have permanently protected 32 rolling acres near Suttons Bay, home of L. Mawby Vineyards. The donation of the conservation easement coincided with the year-end sale of half of his business to Stuart and his wife, Sharon. 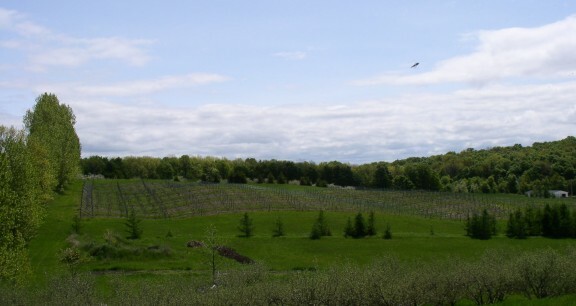 The Laings are from Suttons Bay, and are also grape growers with a seven-acre vineyard near Lake Leelanau. “The timing was right for both of us,” says Larry. “The business was getting too big for me to handle by myself. I needed a partner. 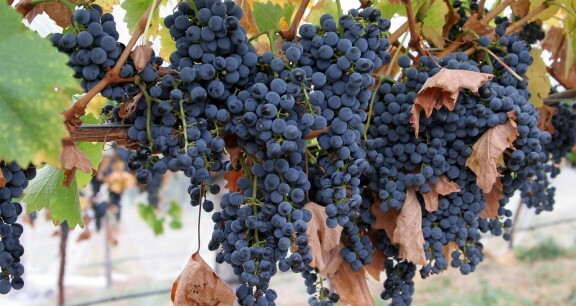 Stu’s investment will allow us to respond to the continuing demand for our wines.” Their business plan calls for doubling production to 10,000 cases or more in the coming year. A new building near the village of Suttons Bay was recently purchased for the expansion. Stu, 57, brings an M.B.A. to the table, along with business acumen gained as co-owner of a steel fabrication plant before retiring. “He’s already taking a big load off of my shoulders,” says Larry. Sharon, who has worked in the tasting room for four years, will help to manage it. Permanently protecting the land with a conservation easement was part of the new venture. “I’ve always wanted this land to stay as ag land,” says Larry. The sale of the business coincided with his retirement from the Conservancy’s board of directors, and made for good timing all the way around. The easement provided some needed tax relief for both parties. “While we’re both altruistic, there are also benefits that go along with preserving the land,” says Larry. Both men had capital gains they needed to address in 2008. Larry had a low basis in the land and the partial sale his company to offset. Stuart had sold appreciated stock before the market crashed. Larry bought the 32 acres now under easement in 1975. He had just graduated from M.S.U. and had spent a summer in Europe. 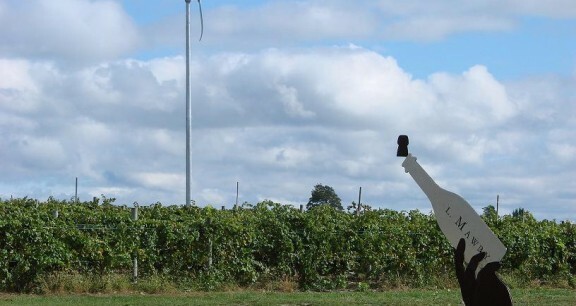 He knew he wanted to come home and grow grapes in Leelanau County. While working on his family’s fruit farm, the land came up for sale. “A group of investors who had planned to develop a series of golf courses and condominiums from here to the lake defaulted on their loan,” says Larry. He bought the 32 acres and started putting in vines.